Find the perfect space to fit your lifestyle. Park at Gateway offers a range of floor plans to accommodate your needs. Choose from one, two, and three bedroom luxury apartments for rent near Breckenridge Park in Plano, Texas. With eight unique floor plans, we have the right-sized home for you. 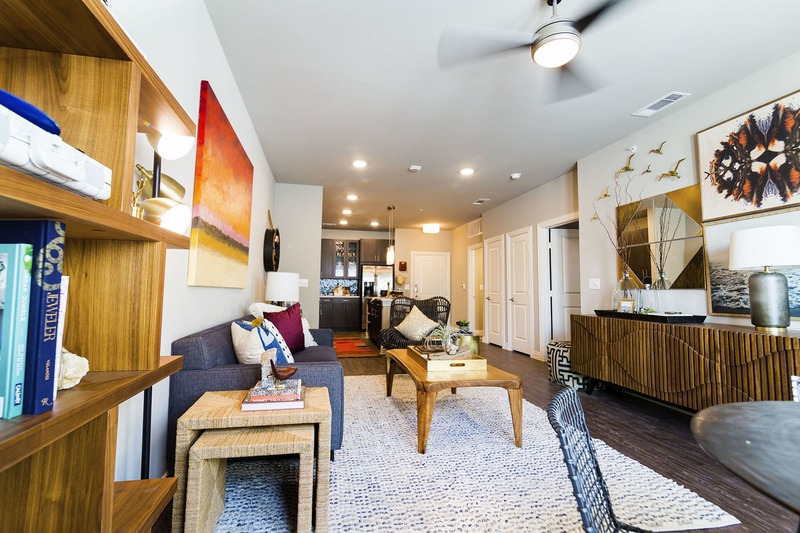 Our upscale apartments offer spacious open floor plans, generous square footage, and the design-inspired touches that will make you feel right at home. With sparkling quartz countertops, stunning stainless-steel Energy Star appliances, and a striking glass tile backsplash, we’ve outfitted each of our luxury apartments with high-end touches at every turn. Craft a decadent meal in your gourmet kitchen, entertain friends and family in your spacious apartment, or uncork your favorite bottle of wine to enjoy on your private balcony or patio. You’ll never tire of the resort-inspired lifestyle offered at Park at Gateway. Come experience the life of luxury at Park at Gateway. Schedule your personal tour today to learn more about our spacious floor plans.